He believes that everyone should be able to wake up every day and not suffer from back pain, headache, neck pain etc.There are many causes for back and body pain, but a skilled chiropractor is able to assist the body in its natural God-given healing ability. The nature of Chiropractic care encompasses a whole life approach (holistic). You can receive treatment for a condition, but if there are underlying causes of the condition, we must address those in order to be truly effective. There are often simple adjustments you can make in your daily routine that can help your body stay healthy and pain free. This could be as simple as improving your posture or stretching for a couple of minutes in the morning. We also encourage a healthy diet and adequate water consumption. These are all little things that can result in a better lifestyle with fewer doctor visits and lower health care costs. 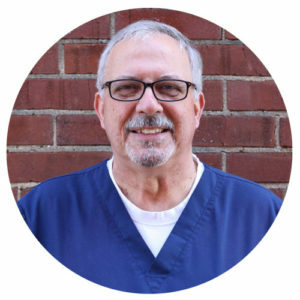 Dr. Schrock is a great man and really cares about his patients. I recommend him to everyone!